There's a fundamental mystery at the core of our evolution. No, it's not how we went from fuzzy shrews to humans — it's how bacteria made the jump from single-celled existence to something more complex. The weird part is that evolutionary jump only happened once. Over at Nautilus, Ed Yong has a terrific essay about that moment, roughly 2 billion years ago, when bacteria made an incredible evolutionary leap. It put them on a path that eventually led to the evolution of complex, multicellular animals like us. But how the hell did it happen. At first glance, a tree could not be more different from the caterpillars that eat its leaves, the mushrooms sprouting from its bark, the grass growing by its trunk, or the humans canoodling under its shade. Appearances, however, can be deceiving. Zoom in closely, and you will see that these organisms are all surprisingly similar at a microscopic level. Specifically, they all consist of cells that share the same basic architecture. These cells contain a central nucleus—a command center that is stuffed with DNA and walled off by a membrane. Surrounding it are many smaller compartments that act like tiny organs, carrying out specialized tasks like storing molecules or making proteins. Among these are the mitochondria—bean-shaped power plants that provide the cells with energy. 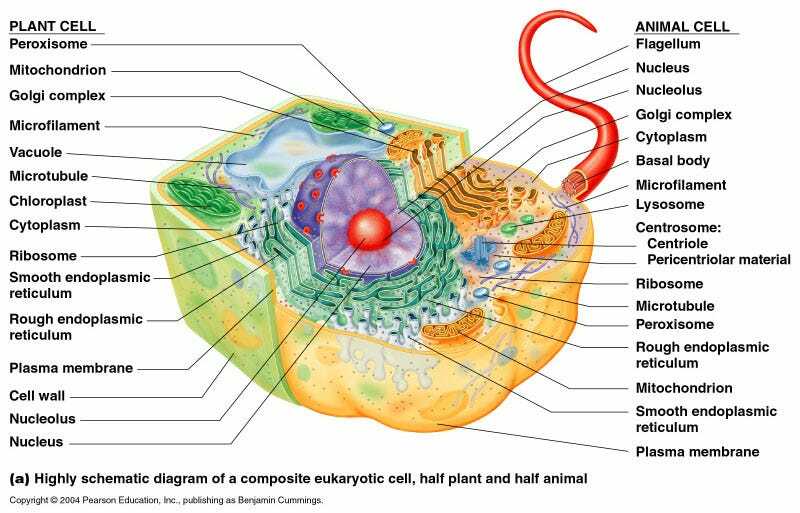 This combination of features is shared by almost every cell in every animal, plant, fungus, and alga, a group of organisms known as "eukaryotes." Bacteria showcase a second, simpler way of building a cell—one that preceded the complex eukaryotes by at least a billion years. These "prokaryotes" always consist of a single cell, which is smaller than a typical eukaryotic one and bereft of internal compartments like mitochondria and a nucleus. Even though limited to a relatively simple cell, bacteria are impressive survival machines. They colonize every possible habitat, from miles-high clouds to the deep ocean. They have a dazzling array of biological tricks that allow them to cause diseases, eat crude oil, conduct electric currents, draw power from the Sun, and communicate with each other. Still, without the eukaryotic architecture, bacteria are forever constrained in size and complexity. Sure, they have their amazing skill sets, but it's the eukaryotes that cover the Earth in forest and grassland, that navigate the planet looking for food and mates, that build rockets to Mars. The transition from the classic prokaryotic model to the deluxe eukaryotic one is arguably the most important event in the history of life on Earth. And in more than 3 billion years of existence, it happened exactly once. Life is full of complex structures that evolve time and again. Individual cells have united to form many-celled creatures like animals and plants on dozens of separate occasions. The same is true for eyes, which have independently evolved time and again. But the eukaryotic cell is a one-off innovation. Bacteria have repeatedly nudged along the path towards complexity. Some are very big (for microbes); others move in colonies that behave like single, many-celled creatures. But none of them have acquired the full suite of crucial features that define eukaryotes: large size, the nucleus, internal compartments, mitochondria, and more. As Nick Lane from University College London writes, "Bacteria have made a start up every avenue of eukaryotic complexity, but then stopped short." Why? It is not for lack of opportunity. The world is swarming with countless prokaryotes that evolve at breathtaking rates. Even so, they were not quick about inventing eukaryotic cells. Fossils tell us that the oldest bacteria arose between 3 and 3.5 billion years ago, but there are no eukaryotes from before 2.1 billion years ago. Why did the prokaryotes remain as simple cells for so damn long? There are many possible explanations, but one of these has recently gained a lot of ground. It tells of a prokaryote that somehow found its way inside another, and formed a lasting partnership with its host. This inner cell—a bacterium—abandoned its free-living existence and eventually transformed into the mitochondria. These internal power plants provided the host cell with a bonanza of energy, allowing it to evolve in new directions that other prokaryotes could never reach. If this story is true, and there are still those who doubt it, then all eukaryotes—every flower and fungus, spider and sparrow, man and woman—descended from a sudden and breathtakingly improbable merger between two microbes. Read the rest over at Nautilus.